Access: You can access the IoT infographic in high resolution as a .png HERE and as a .pdf HERE. 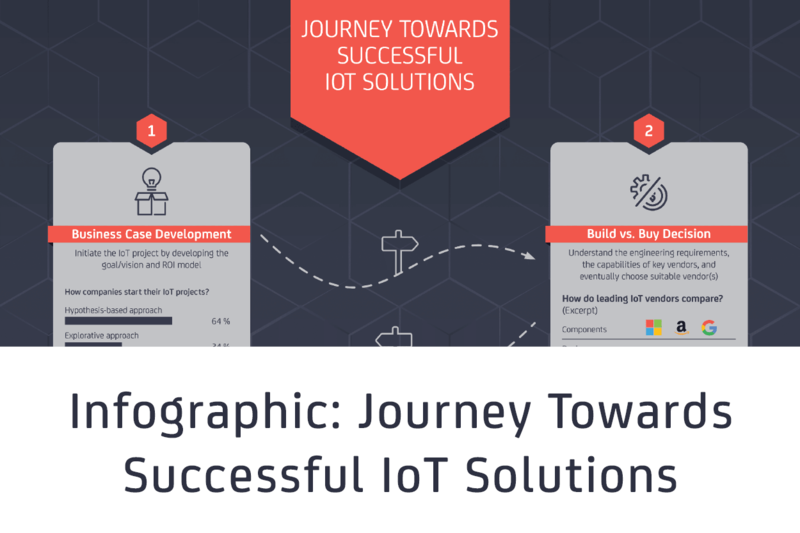 Additional details such as a comparison of some key vendors and a detailed discussion of the technology stack are provided in the 31-page Guide to IoT solutions development for IoT business & technical decision makers. I like this infographic, yet it seems that IoT security is under-emphasized. If a company creates an IoT device, security must be a top priority. Otherwise, they should leave the device off the Internet. IoT security is a lot like vaccinations – nearly everyone has to get them for them to really work. I got a lot of information on Argumented and virtual reality. This blog also discusses about IOT (Internet of things). Dell Support can provide assistance regarding IOT. Great infographic. It tells a lot about IoT. I will collect that pdf soon.